See Procurement and Materials Management's updated purchasing page for prices and the Hp Computer Order Form. Need to compare available Hp models? 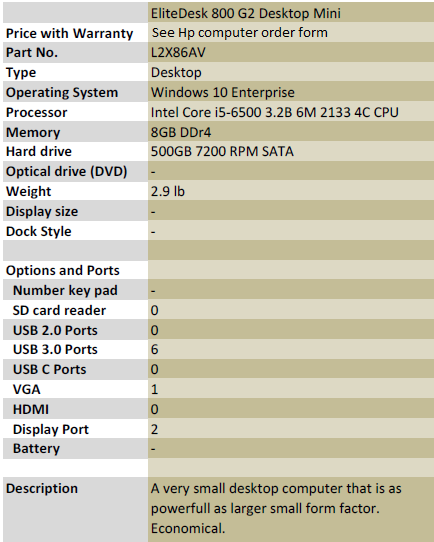 Check out this user-friendly comparison sheet!